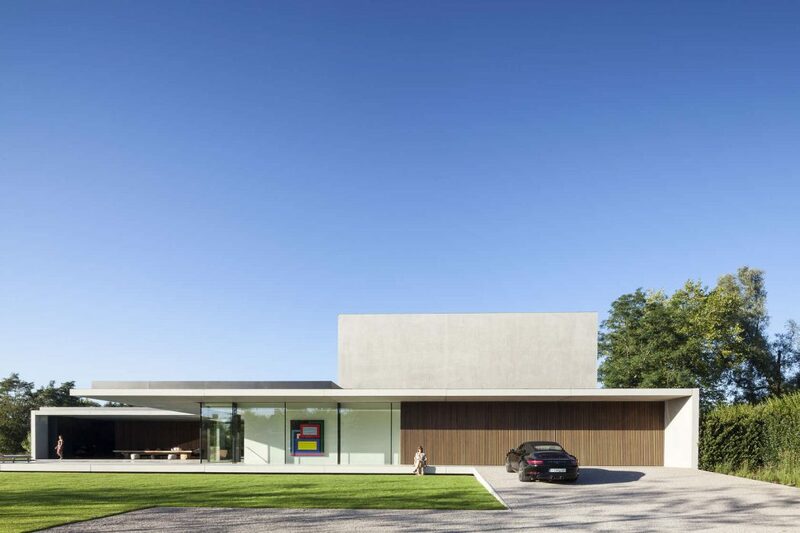 This amazing concrete residence located in Sint-Martens-Latem, Belgium, was designed in 2016 by Govaert & Vanhoutte Architects. The river Leie, that runs through the historic city Ghent is well known for its leisure boating. A bit further downstream from the city centre of Ghent, many boats reduce throttle or come to a full stop to gaze upon a residence, quite different from the other houses along the river. Amidst a golf terrain like garden lies a sculptural concrete bachelor pad, grafted on the lifestyle of its owner.